For a series of BLOG articles, the Johnston County Visitors Bureau wants to introduce to our readers, a host of talented artists and performers from around the county. First, we sat down with Benson&apos;s own, Amanda Daughtry, now living in Nashville, who is following her country roots to record, write, and sing her own songs. Amanda has been singing since she was 7 years old, and remembers singing along with the radio to Randy Travis (another North Carolina native). Singing runs in Amanda&apos;s family, and she has been performing for many years in local theatres and country variety shows. She was a regular on the Johnston Community College, Country Music Showcase hosted by another talented JoCo artist, Debbie Dunn. Today, Amanda has a full-fledged band that travels the state, they are booked at festivals, private shows, bars and performance halls....putting over 5,000 miles a month on the touring van. Life on the tour with the band is an adventure all its own, with many of these stories becoming the backdrop of Amanda&apos;s banter with her audience during shows. Not only is she a talented vocalist, but she&apos;s a humorous story teller...we are guessing that talent makes for a great songwriter! Amanda sings a vast array of current and classic country music, classic rock, and mainstream pop alongside songs of her own that she shares with those who are willing to listen. Any given night, there&apos;s not a chance that someone walks out of the show without having a great time. 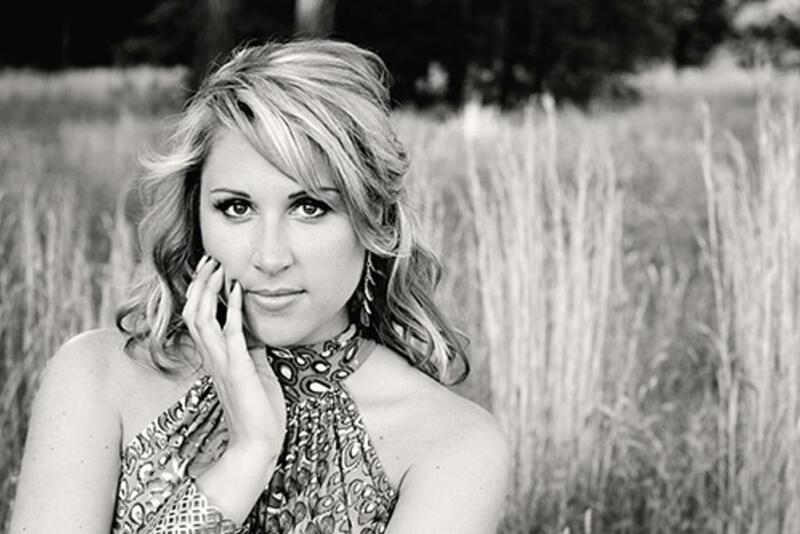 Amanda&apos;s success has been validated with opportunities to open for top country acts like Chris Young and Justin Moore. On a recent late night at Double Barley Brewing, we had the chance to hear Amanda sing Brian Adams, Reba McEntire, Melissa Etheridge, and "Landslide" by Stevie Nicks, and loved it all! In Nashville, she&apos;s been writing new songs with a number of incredibly accomplished writers, all of whom have been linked to a number of the industry&apos;s best performers. Basing out of Nashville also gives Amanda the ability to book shows in a widening scope, branching into Georgia, Florida, Virginia, Maryland, and Texas, all while continuing to entertain a healthy fan base in North Carolina. She&apos;s working on her next album which is expected out next April. She sent in an audition tape to The Voice a couple of years back and made it through several interview rounds, and she is considering another shot at the show. Amanda was nominated in two categories, Country Female, and Female Artist and she was named the 2014 Carolina Music Awards, Top Country Female Artist, with 50% of votes coming from her fan base here in NC. Along with her busy touring schedule, Amanda finds time to give back and coming up this December 6, she will host a Toys for Tots Drive at the Country Connection, and on December 19, she will be at the Falcon&apos;s Children&apos;s Home. And for the next generation of singing stars, she holds the Vocal Summer Camp which will be August 3-8, 2015. Over 400 applications were submitted for the first camp held at the W.J. Barefoot Auditorium in Benson. The camp will continue to be free offering an advanced and intermediate option where she hopes to give these budding singers encouragement, some voice instruction, and confidence to sing in front of audiences. Sign up for the camp will be open in April 2015. Where to hear Amanda Play! Hear a little taste of Amanda performing and follow her on social media so you can catch a show when she&apos;s back home in North Carolina. Amanda Daughtry Original, "She Don&apos;t Look Like Me" - An original song written by Amanda Daughtry and Rick Tiger.